Chelsea bounced back from their shock opening-day defeat at home to Burnley to inflict yet another Wembley defeat on Mauricio Pochettino’s Tottenham. Left wing-back Marcos Alonso scored both goals for the visitors, slotting the winner past Hugo Lloris a matter of minutes after substitute Michi Batshuayi had headed into his own net. Mauricio Pochettino made two changes to the team that had defeated Newcastle on the opening week of the season, Kieran Trippier and Victor Wanyama replacing Kyle Walker-Peters and Moussa Sissoko. Wanyama sat in front of the back four, between Eric Dier and and Mousa Dembele, with two attacking midfielders, Dele Alli and Christian Eriksen, further forward. Harry Kane played as a lone forward with freedom to roam. 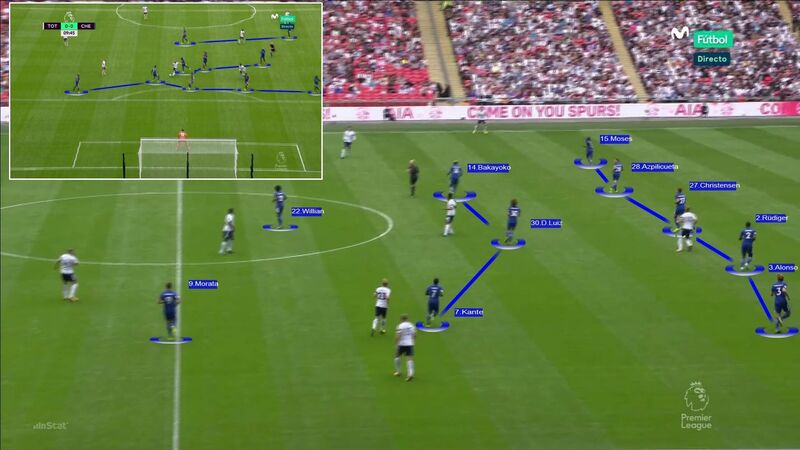 Offensively, the plan was clear: combination play through direct links between the centre-backs and midfielders, with the full-backs making themselves available wide to try and exploit gaps between the Chelsea defenders. 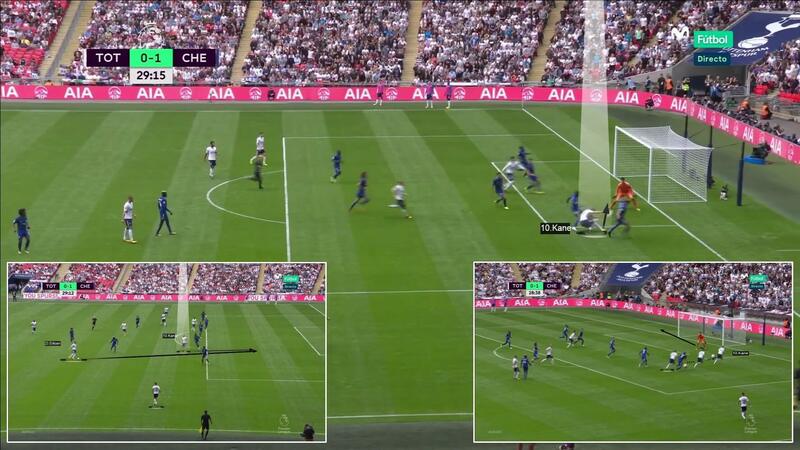 From here, they would try to establish clear routes from which Alli and Eriksen in particular could supply Kane. As an alternative, they would look to draw pressure and play direct from Hugo Lloris in goal, looking for Kane to take advantage of a weakened Chelsea defence, with David Luiz instead selected in midfield. This led to some of their best moments towards the end of the first half and around the hour mark, with Kane finding space between Antonio Rudiger and Marcos Alonso. 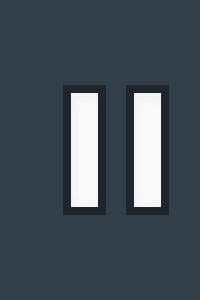 In dead-ball situations, they were less successful. They earned many near the opposition penalty area but managed no clear effort at goal; their equaliser, which came from a free-kick, was an own goal. 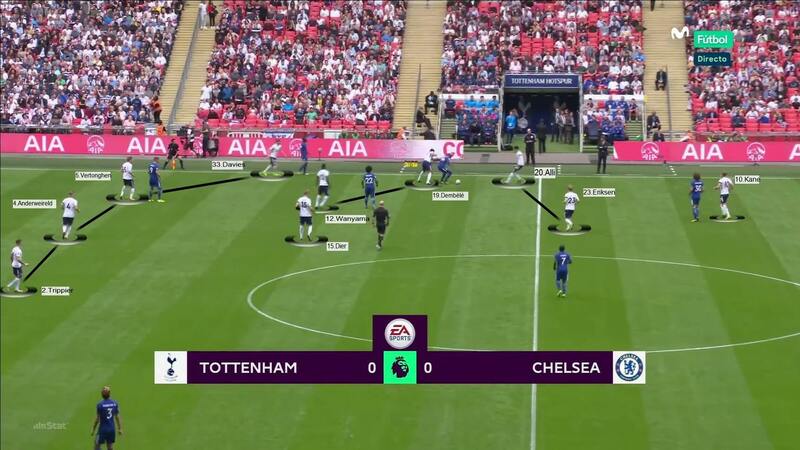 Defensively, their formation was unaltered, with a high press forcing Chelsea to look long to Alvaro Morata, potentially leaving space around the centre circle for Alli and Eriksen to exploit if catching the centre-backs or central midfielders in possession. 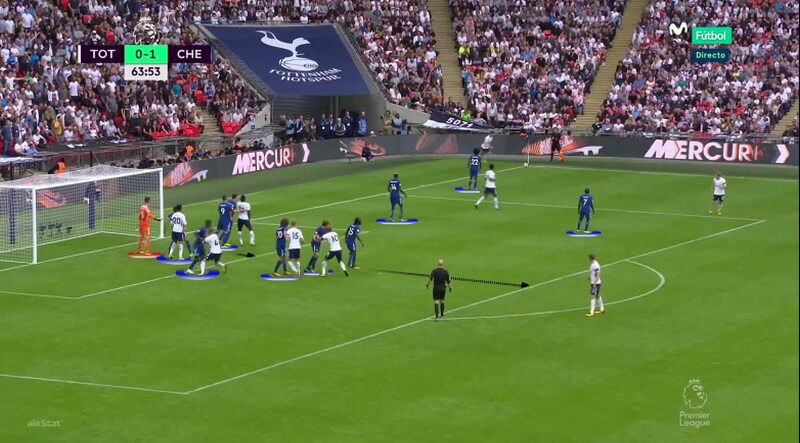 Pochettino’s aim was always to win the ball back, secure possession and rediscover their width as soon as possible. The defensive formation employed by Tottenham was 4-3-2-1, with a midfield diamond shutting off any routes into the middle. The left side of the Chelsea midfield was the channel through which Tottenham established their most dangerous attacks. Here, Eriksen had time to direct a through ball for Kane into the space between Rudiger and Alonso, who was caught wide. 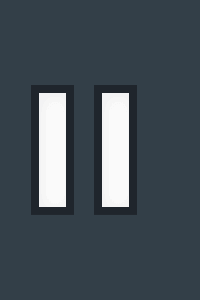 Kane managed a shot, but Courtois parried. Towards the end of the first half, Tottenham managed to connect with their midfielders in between the first and second lines of the Chelsea defence. 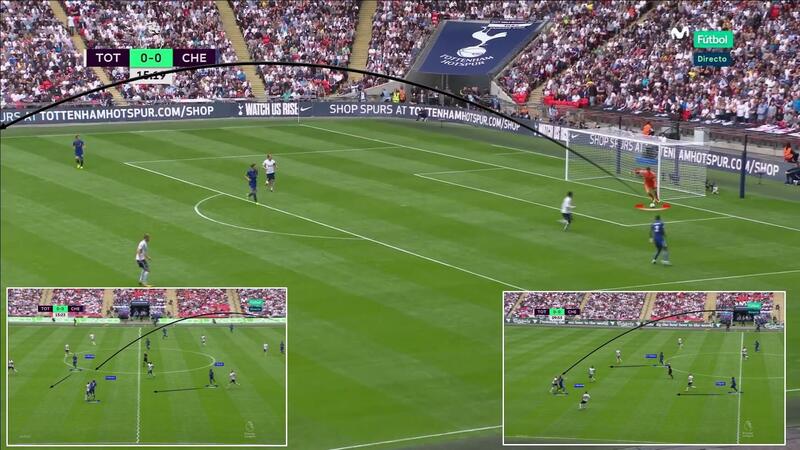 Dele Alli came forward as the extra man to free a teammate out wide, in this case Kane, and create space in the centre. 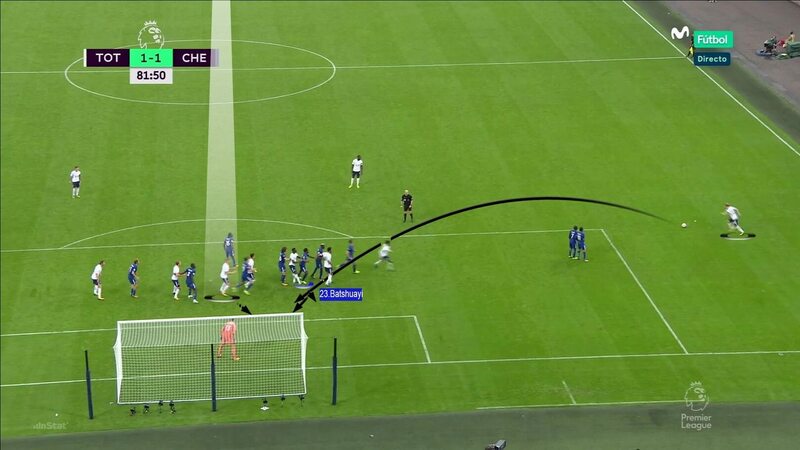 The Tottenham equaliser, where Chelsea commit their only error in a defensive dead-ball situation. 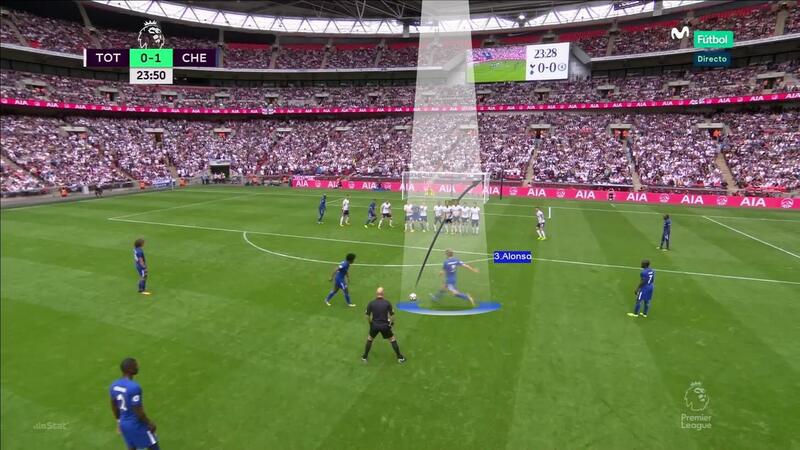 The recently introduced Batshuayi is not marking, while Moses occupies the area of a possible second ball, leaving Vertonghen free in the centre. Batshuayi shows poor anticipation at the near post, miscuing the clearance into his own goal. 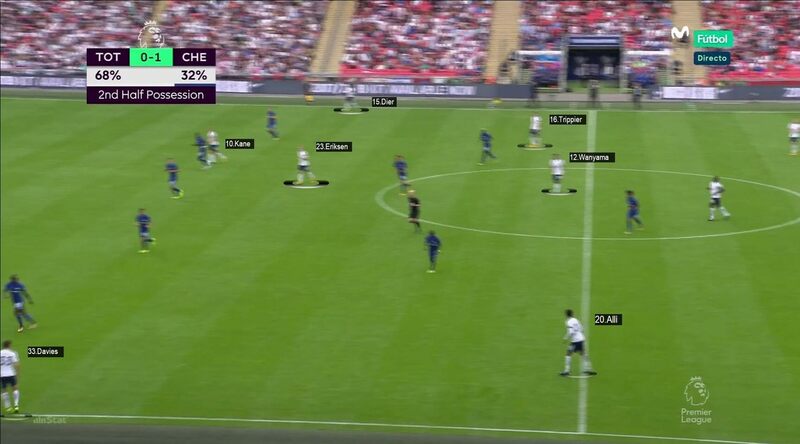 Tottenham's attacking positioning, with wide full-backs level with the player in between the Chelsea defence and midfield. Alli offers support on his flank, attracting the wing-back in a bid to free up midfielders in central areas. Chelsea's 5-3-1-1 formation, becoming a 5-3-2 when not in possession, Morata dropping back to join Willian. Chelsea's first goal. A direct free-kick taken by Marcos Alonso from left of the D on the edge of the Tottenham area. His strike flies over the Tottenham wall and away from a helpless Lloris in the Spurs goal. The Chelsea winner, and excellent wide play from Pedro. Marcos Alonso and David Luiz combine to win possession in midfield. 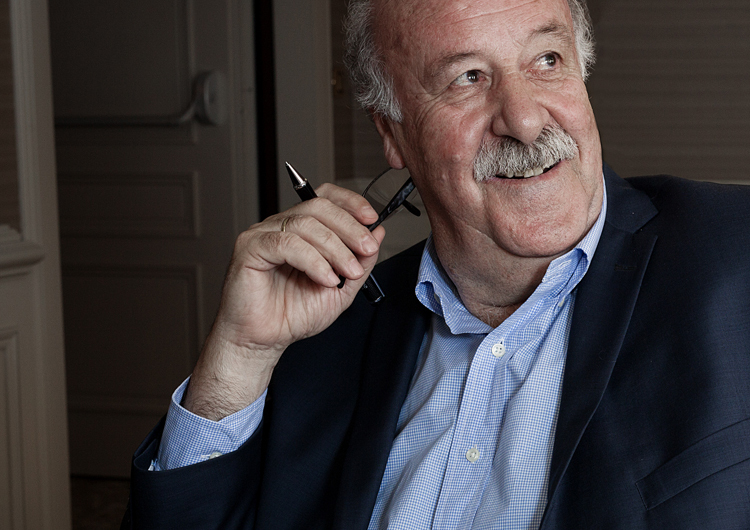 The former plays Pedro in wide, who draws Alderweireld out of the centre before playing Alonso back in. The wing-back makes it 2-1 with a sharp shot past Lloris at the near post.  An example of direct play by Chelsea. Courtois kicks long towards the opposition full-back, aiming for either Morata or Alonso, with N'Golo Kante in support to pick up any subsequent loose ball. If Alonso is the target, Morata can drop off to add extra support. 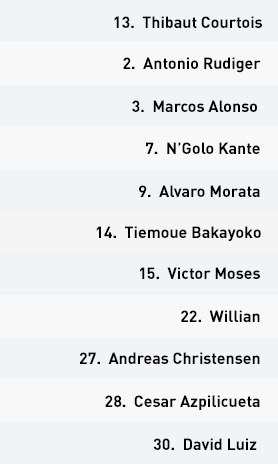 Defensive corner by Chelsea, who faced 14 throughout the game and mostly brought every man back. Five players mark the immediate vicinity of the goal. 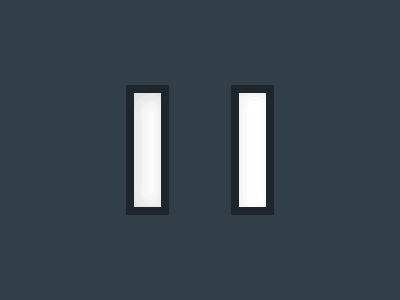 Three players man-mark the corner-taker and possible receivers nearby. 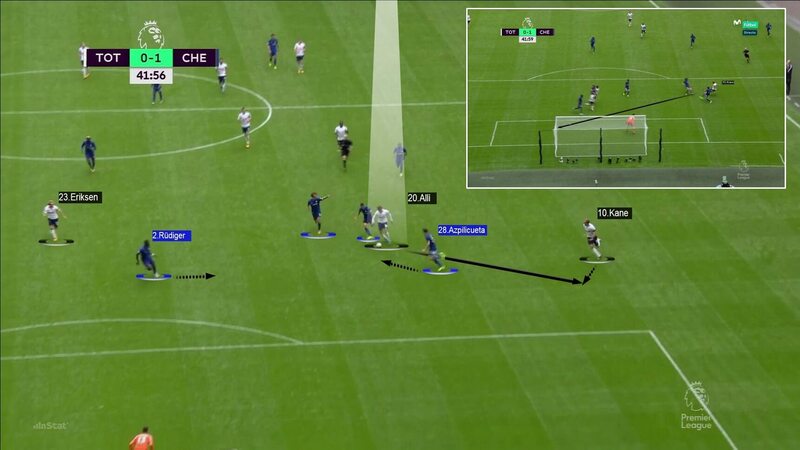 Zonal marking from Morata, at the near post to attack the ball, and Moses on the penalty spot, who can press the loose ball and aim to launch any counter-attack. Antonio Conte went into the game missing a number of players: Eden Hazard, Gary Cahill, Cesc Fabregas and Diego Costa. As a result, Cesar Azpilicueta, Andreas Christensen and Antonio Rudiger formed the back three, with David Luiz surprisingly selected as a holding player in midfield, flanked by Tiemoue Bakayoko and N’Golo Kante. Willian played behind Alvaro Morata in a 5-3-1-1. Tactically, the team went direct. Courtois looked long to Morata, with Willian and Kante looking to make breakaway runs around him. They also looked to the opposing right flank, incorporating the width of Alonso, who could join the attack in front of Kante and behind Morata. 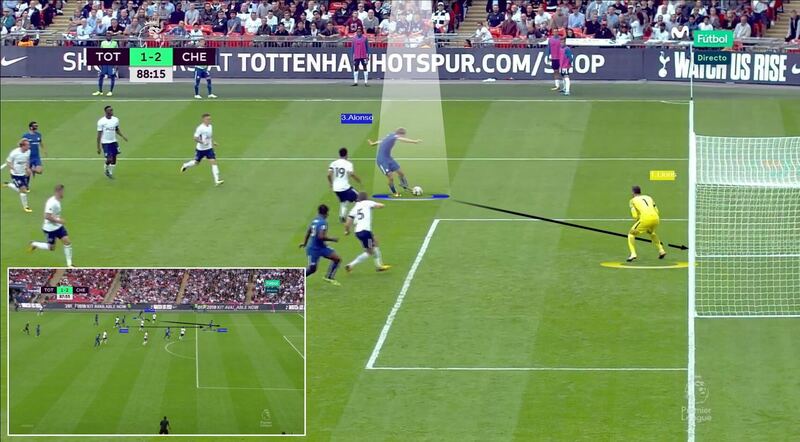 The two wing-backs were charged with adding width, and winning any second balls in the opposition half to deliver the ball into the Tottenham penalty area. Alonso, with more attacking movement than Moses, was more of a threat. In the entire first half, the Blues only had one shot on target – the goal, coming from a direct Marcos Alonso free-kick from the edge of the Spurs area. Their defensive strategy was to try and win loose balls in the opposition half by grouping players near the ball, creating pressure on the man in possession, making tactical fouls when needed, and tightening up central areas. Conte again deployed 5-3-2 off the ball, Morata dropping back to join Willian. He reduced space in the middle of the park, with a defensive unit of three centre-backs and a defensive midfielder, in the shape of the excellent David Luiz, in front of them. Direct counter-attacks looked to Morata, who would attack defensive gaps, with Willian and one of the wing-backs quick to support. They dominated defensive set-pieces, where Morata would attack the near post, and Moses or Willian look to initiate rapid counter-attacks. 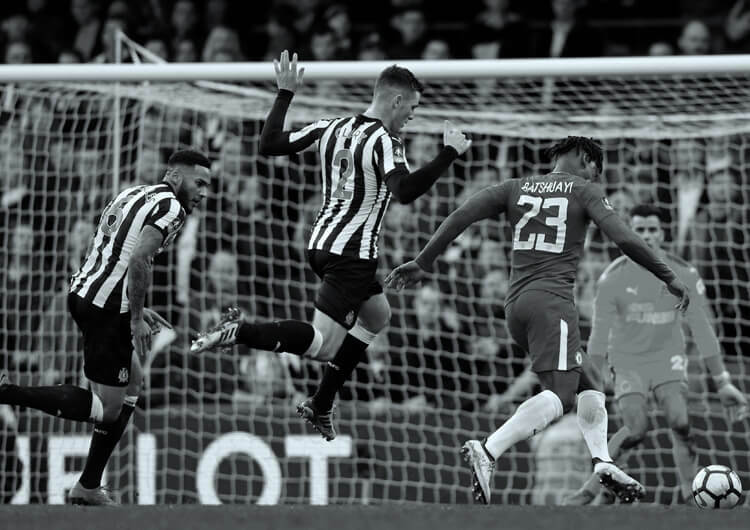 The only error committed from dead-ball situations came from a foul, minutes after the introduction of Batshuayi, who miscued his clearance at the near post into his own goal. Efficiency in front of goal: Chelsea had two shots on target and scored two goals, while Tottenham had six yet scored only from an own goal. 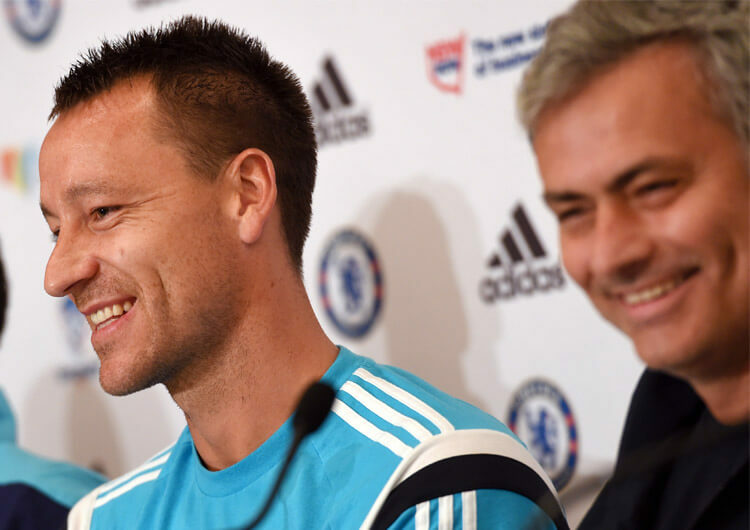 Chelsea’s defensive organisation: a secure formation, supporting players and the importance of David Luiz as a defensive pivot in midfield. Tottenham errors before the second goal: full-back out of position, centre-back advancing without defensive support, goalkeeper staying passive until the shot. Marcos Alonso is the defender who has scored most Premier League goals since the start of last season.